This blog first appeared on #maternityteacher (@maternityCPD). It is a bit different than my usual blogs to be honest as it is not really about RE!! I wrote this blog because I passionately believe that maternity/paternity leave can be an opportunity for career development and I want to support the #maternityteacher campaign. Let me explain why…. Very few people can probably claim that their career took off during maternity leave….but this is what happened to me…about ten years ago! So how did this happen? In short it was partly due to being in the right place at the right time…but also due to the incredible support of colleagues who saw the opportunities that maternity leave provided for flexible working from home. Ten years ago I had a toddler running around, and had a nine month old baby. I had been an RE adviser to the London Borough of Newham for a number of years, but had decided to explore other avenues of work to fit better around my family and avoid a long commute to London each day as we’d moved to Cambridgeshire. During my maternity leave I started to run a toddler group; slightly out of my comfort zone as I am secondary trained! However, I required some resources to help me, and whilst in search of these bumped into an RE adviser! She suggested that whilst I was on maternity leave I trained to become a Section 48 (Statutory Inspection of Anglican Schools) inspector. She said I could choose when to undertake inspections and it could work around my children. I took her up on this suggestion and whilst on the training met another adviser who told me they needed a secondary RE specialist to work with schools in Norfolk! My new ‘freelance’ career began! The RE community is strong and vibrant! There is probably some kind of network meeting taking place every week for teachers. There are similar networking opportunities for advisers too, and I decided to pop along to my local group. I was fortunate that my husband was working shifts, so had the children for the morning! It was here that I met Mary Myatt (@MaryMyatt) who at that time was an adviser in Suffolk. Mary saw the possibilities and opportunities! She supported me in my early days as a freelancer by opening doors for project work, and invited me to events to help me network with others. She also always understood the constraints.. there was never any pressure. Lastly, a number of organisations contacted me during my maternity leave because they knew I would be based at home! I would have more time to write – apparently! So I wrote articles, I helped prepare a bid for funding, I wrote material for a website, I acted as a consultant for a media organisation… many of these opportunities came about because of the creative thinking of other advisers in my field. Other advisers who did not have time to ‘write’ because they were in schools, had the foresight to provide opportunities for me. In my work as an adviser now there are a number of ways in which I try to support those on maternity/paternity leave, I think partly due to the way my own career has developed. One of my roles now is as Lead Consultant for the TeachRE Course (wwww.teachre.co.uk). This course is distance learning and has many routes and pathways through it. It is completely flexible. We have had teachers complete the course whilst on maternity leave. Want to know more? When we have a meaningful conversation with someone it is usually (although not always) when we are sitting down. We need a stool or a chair. If the purpose of RE is to enable children to hold an informed conversation about religion and belief, then they need to have a chair to sit on to hold this conversation that does not tip over or wobble…. they need a chair which has legs which are balanced and stable. The easiest way to create balance is to have a three legged chair or stool. Three legs provides a stable equilibrium because mathematically three points determine a plane. Our paper focuses primarily on the ‘theological’ leg, because at the moment we do not think this leg is long enough. In fact we think it is pretty non existent in lots of RE that we see. So the chair falls over. The ‘theological’ ( I take a broad understanding of this term – see previous blogs) means children engage with the big concepts of religion and belief such as God. Issues of authority and diversity in terms of interpretation of truth or doctrine are grappled and wrestled with. The reason why people do the things they do is at the heart of this. It is about meaning and understanding. I think we rarely see this in schools. So my stool is not very balanced. The philosophical (and perhaps the ethical sits well here too) is about questions of meaning, purpose and truth; issues such as why am I here? Is morality important? Does happiness exist?…. I think we see this in some schools, but it is not rigorous or challenging, it often descends into what pupils think. This leg definitely exists in schools, but I think it might have wood worm as it is not very strong and robust at all. The sociological ( and the anthropological) is about the lived reality of beliefs in the 21st Century; issues of plurality and diversity are explored. This aspect is seen more in schools, but is often not actually about the lived reality of religion, but the ‘construct’ of religion or a ‘textbook’ or ‘chocolate box’ approach. There is no engagement with plurality within or between expressions of belief. This leg is exists but is perhaps from the wrong chair! It is too short and the wrong shape. ‘RE should be in the school timetable because it will make you wiser when you are older. It will help you in your job. It will help develop the wise and clever part of your brain. It will help your knowledge, skills and concentration. It will help you get a better job because you will be wiser and know about different religions, and about human rights’. 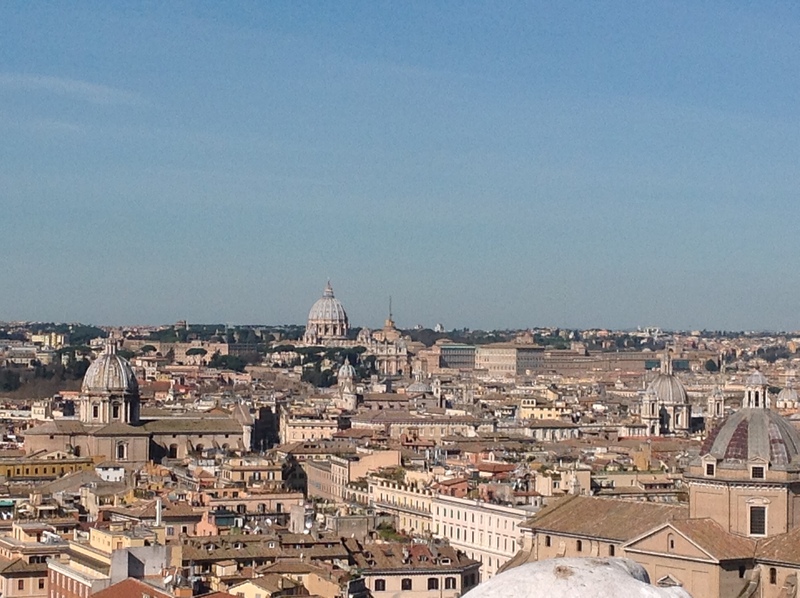 This is the second part of my reflections on my Rome Retreat, this one focuses more on RE. Firstly, it struck me in Rome that there is an explicit entwining of society and religion. Like Thailand (see a previous blog!! ), the religious is part of the everyday. As Revd. Canon Richard Watson ( one of our retreat leaders, @RichardFWatson) put it whilst we sipped Limoncello next to the Pantheon (! ), religion is respected, expected and connected. The expression of religion is respected by people. This might be one reason why priests could openly engage with people on the streets and invite people to pray. It is also expected, so it is not unusual to see expressions of faith. It is not seen as something that you just do in private, there are public expressions of faith everywhere. In many ways there is no division between the sacred and secular. People express their beliefs through the material i.e. through ritual, symbolism, music, art and so on. 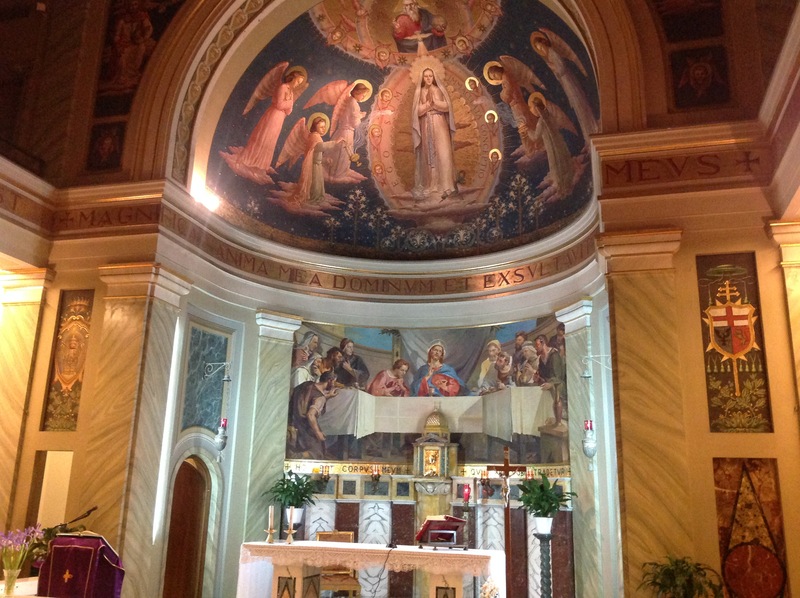 Lastly, people feel connected to the church, there is a strong sense of a living tradition. This unites people and provides a strong sense of belonging to a community. In RE, we need to enable children and young people to gain some understanding of how in many places in the world religion is not ‘inside a box’ or a ‘private thing’. 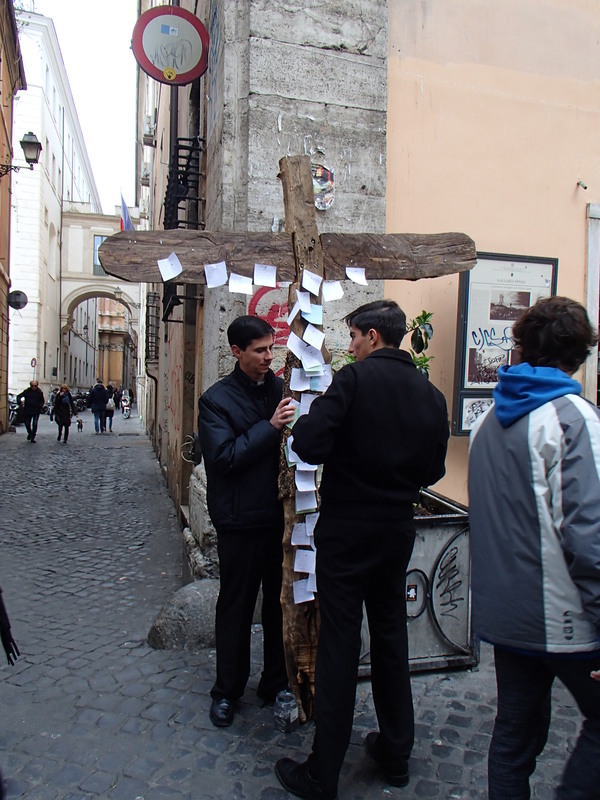 Secondly, Rome reminded me of the diversity of expression within one Christian tradition. 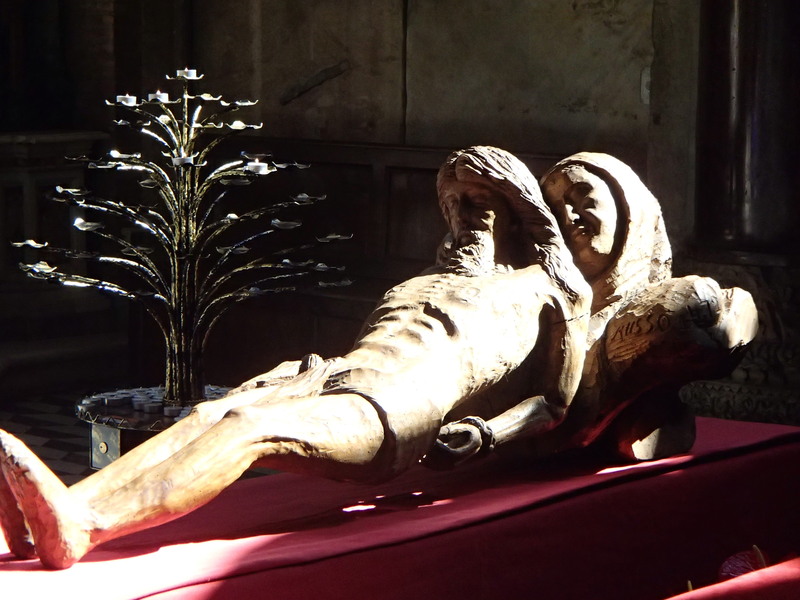 Even within the Roman Catholic tradition itself we saw a huge range of different types of church practice. We witnessed the pilgrimage of many as part of the Holy Year, the contemporary worship of young priests out on the streets, mass being sung and said, confession being offered in many languages, candles being lit, prayers being written on post it notes… in RE I think we sometimes give a rather bland view of the expression of Christian faith. We need to show the colour and diversity of different traditions much more ( and not just in Christianity). Thirdly, my time in Rome made me think about ‘the missing aspects’ of the usual RE curriculum, particularly in terms of Christianity. Some of the most interesting (and often moving) aspects of the retreat for me were exploring the persecution of the early church, the martyrdom of many of the saints and the way in which pagan traditions stood alongside Christian ones in the 1st Century. The visit to the scavi ( beneath St Peter’s Basilica) was probably one of the highlights in relation to this. I wonder sometimes if we avoid some of the most powerful narratives in RE… perhaps it is time to reintroduce a bit more early church history….? The chapel where we were staying. I have just returned from 5 days in Rome with headteachers, senior leaders and advisors from a Church of England Diocese. This blog is the first of two reflections. This one focuses on the benefits of retreat for those in senior church school leadership, the second I hope in a few days time, will focus on RE. We (those of us in educational leadership roles) need community. We need one another. One headteacher reflecting on the retreat said to me, ‘I have never laughed so much’. On a one day conference or network meeting we meet, we talk about work, we move on. However over 5 days outside of the usual working environment friendships were created, support mechanisms set up, listening ears provided, openness generated; leaders were nurtured, encouragement was given…. We also had time to see one another as real people and not just headteachers or leaders. I learnt that some have amazing singing voices, play the organ, have an amazing array of headwear or can drive a hard bargain at the market. Building these relationships means that future working with these colleagues will be more effective because we have shared often deep personal stories with one another. Not only did the retreat build a sense of community with one another, but also an understanding of our part within the community of faith. The retreat allowed the headteachers to connect with the Christian faith in a way that was sensitive to their needs. 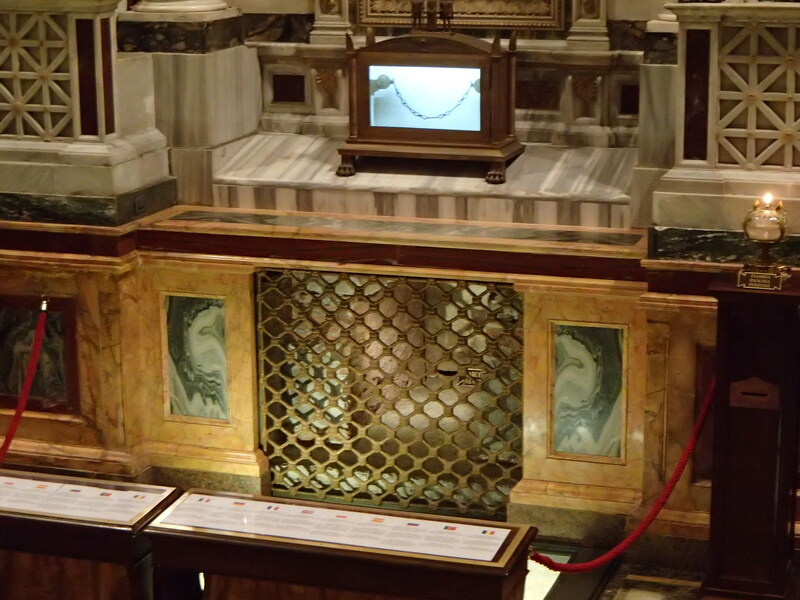 We all gained a deeper understanding of the roots of the Christian Faith through engagement with Christian pilgrimage sites and monuments e.g tomb of St Peter, churches of Christian martyrs and saints. Connecting with the past encouraged us all to see the relationship of this with the present and future. It enabled us to understand our place within the Christian tradition and how our work now relates to this. We had just come out of the Sistine Chapel when one headteacher said, ‘Just think of the many things you could use the Sistine chapel for in the curriculum!’. As we passed a display of different crucifixes and crosses, a headteacher talked about a project she is leading where every child is creating their own cross. Professional learning happened in the coffee shops, in churches and walking along the streets of Rome!! Colleagues discussed introducing daily staff reflections, prayer spaces, exploring Christian diversity more in RE, the purpose of RE and even SIAMS inspections. So, this is why I believe space and time for retreat is invaluable. I feel privileged to have been able to take part, and hope it won’t be the last time. Reflections on being a pupil again…. So here are my reflections on being a pupil again, and on the form of teaching and assessment which was used. Each morning we got up for 2 hour lessons. I apologise in advance for the use of the word ‘level’ but that is how the ESF lessons are defined in terms of standards. Firstly, we had a rather lovely class. Some of us knew each other from last year (!) and we were all roughly the same age. There was an instant group feeling. Lesson Number One: Relationships are key. Nothing new there then! Secondly, we had a good instructor. He was highly skilled and spoke excellent English which was a relief (I did German GCSE a long time ago, my French is pretty non existent!). He assessed where we were at on the first day. He ‘let us ski’. He took us down some fairly easy runs to build our confidence and to encourage us. He spent half the first lesson revisiting what we had learned in the previous level last year. Thirdly, he then showed us what we would ‘be able to achieve’ by the end of the week. The focus was short turns down steep slopes! This was a challenging task, but not unachievable I felt! Lesson Number Three: The success criteria or learning outcomes were very clear from start. The level of challenge was right. So the lessons during the rest of the week aimed to enable us to achieve this. So, each day we did short turns on slightly steeper slopes. On the Wednesday, we did a pretty challenging one, but our instructor said he was confident we could all do it. We had taken little steps along the way to successful learning. Lesson Number Four: The lesson structure was designed to enable us to achieve the outcome. Lastly, the instructor didn’t always stick to the plan! He allowed time for us to admire the amazing views from the tops of mountains. The weather played its part too! Some days the weather meant we could not ski on the planned route as the visibility was too poor. 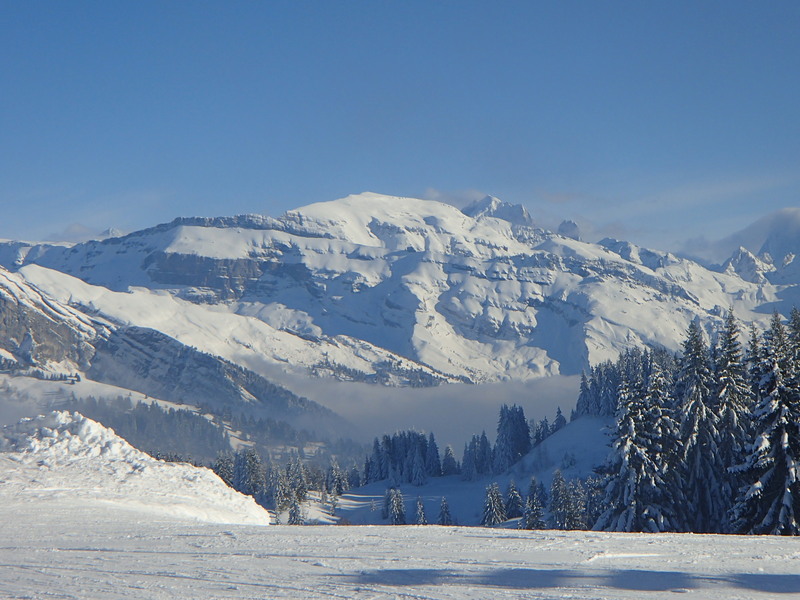 Yet on another day, the snow conditions were superb… so our instructor said… let’s just ski today and enjoy it! Lesson Number Five: Sometimes it is good not to stick to the plan! Go Off Piste! Sometimes it is good to reflect on being a pupil again, particularly when the teaching is good. And most importantly, did I enjoy learning? Yes I did. Posted on February 26, 2016 February 26, 2016 Leave a comment on Reflections on being a pupil again….